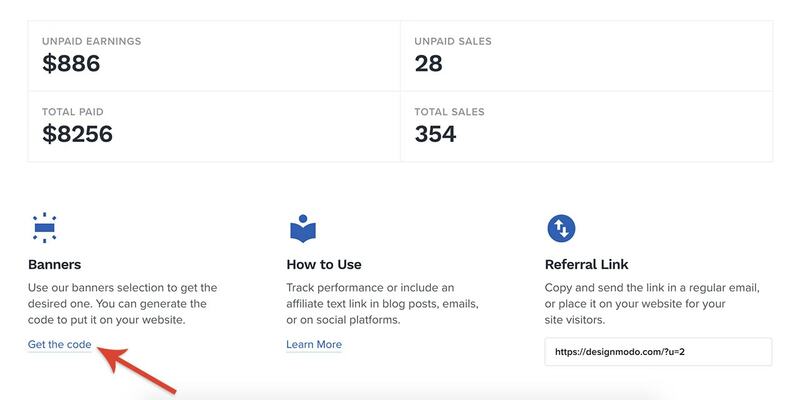 If you have a blog, website, email list or social media accounts then you can join the Affiliate Program and earn a 25% commission on every purchase. When a visitor comes to our website and buys products from your link, you’ll earn 25% on every purchase. Expect to receive affiliate share payment between the 2nd and 15th of the following month. Follow these instructions to place ads on your blog and track performance or include an affiliate text link in blog posts, emails, or on social networking platforms, such as Twitter and Facebook. 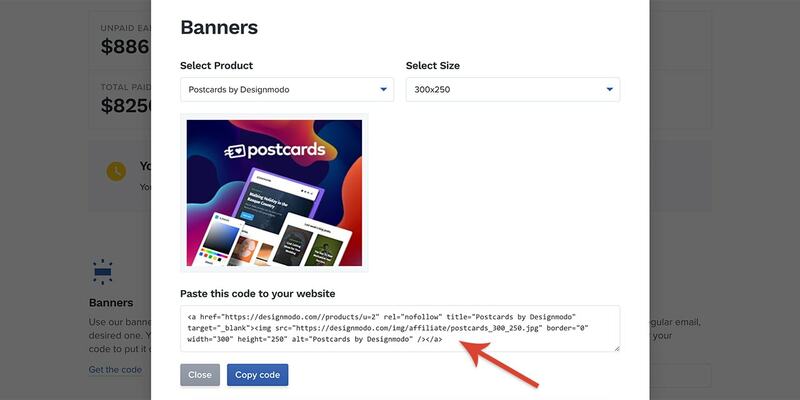 In order to ensure that you get your share of commission, follow these instructions to set up your Designmodo account and generate your affiliate code. 1. Visit Registration page or Affiliate Program (existing users). 2. Complete the sign-up and log into Affiliate Area. Click the “Affiliate Program” tab located at the top right side of the page. 3. Next, copy your id and put them to desired product URL page, or share link with your friends. 4. Use our banners section, just Enter your Affiliate URL and select product banner. 5. And copy/paste code to your website. Incorporate the code into your blog, email or social media message. The common affiliate link code will lead potential buyers to the product page. This sales method results in a good conversion rate because it enables you to advertise products that your audience will be interested in. Remember those banner ads are not enough to achieve the best conversion rates. You need to target specific promotions through blog posts, tweets or emails to create awareness about your product review or recommendation list. This personalized method works best in boosting conversion rates. Explore various ads, shuffle them to analyze which ad best meets the needs of your audience and attracts buyers.